I don't know if you know this about me but I'm a big fan of going to the theatre; i just love it, I'd quite happily watching anything on the stage because there is just something about sitting in a theatre and seeing a live performance that really draws me in - literally every time i go, i leave wishing that i could be that person on stage. 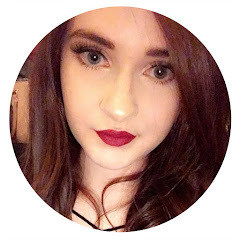 I just love the whole experience and I've decided to start doing posts about the shows i go to see because i do have quite a few booked over the next few months and i thought maybe you'd like to see what make up i wear and a review of the show too! I did actually go to see Mamma Mia back in February but i didn't really get any photos to be able to do a full post about it but it was excellent, really fun and lively and such a good fun show to watch. All these photos are taken on my Iphone so i hope the quality is okay! So last night i went to see Dirty Dancing at the Liverpool Empire and it was actually really good. We was sat pretty high up in the theatre because we got really cheap tickets but you could still see everything pretty well and it definitely didn't affect the quality of the performance or the experience. I was a bit sceptical about how it would translate from film to stage but i think they did it really well and apart from one or two scenes it was pretty much an exact replica to the film which was quite unusual but they made it work. At times i felt like the 'Baby' was portrayed as a bit stupid and i don't know if was done to get a couple of laughs out of the audience but she's not like that in the film and also, the way they did the water scene was a bit ridiculous, don't get me wrong it was hilarious and i can kind of understand why they had to do it the way they did because they couldn't exactly have a giant lake onstage but it was a bit of mockery. Regardless of those minor things though, it genuinely was an excellent show and if you are a fan of the film i would highly recommend going to see it, it's quite amazing seeing it come to life in a live performance. It uses all the classic songs from the film and the dancing is amazing, i loved all the costumes/dresses they were wearing, it really makes me wish i was alive in the era! Overall, it amazing and id highly recommend going to see it! Do let me know if you liked this kind of post and if you'd like to me to continue to do them for the other shows I'm going to see too! Do you like going to the theatre? What's been your favourite show? I love the theatre too but so sad to say that Ive only been once, I definitely need to go again! Aw, I used to barely go but i was constantly saying that i wouldnt mind watching this or that so this year im trying to go to more because i love it so much! Incredible isnt it? i was mesmorised watching them all dance! You look great. I love going to the theatre too, you're right, it really does draw you in. I saw Dirty Dancing in the west end a while back and I loved it, I was so amazed at the figures of all the dancers! Aw thank you! Amazing arent they? I loved watching them dance together! I love the theatre I definitely try and go whenever I can, my favourite show is always Wicked (purely because the soundtrack is incredible!) I wanted to go and see Dirty Dancing but reading your post and from other people it's so difficult!! I wouldn't want one of my favourite films to be completely ruined. I reaaaaaally want to go and see Wicked, im hoping it comes back to Liverpool soon!! Oh i wouldn't say it ruined the film at all, so don't let it put you off theres just a few things that surprised me but the show itself was amazing.